Therapy Works, founded in 2006, is an Outpatient Orthopedic Physical Therapy Organization operating in the Virgin Islands. With locations in the USVI and the BVI, we serve a broad spectrum of the community to reduce pain and improve function. Our St. Thomas clinic is located in the capital city of Charlotte Amalie and is just ten minutes away from the Roy L. Schneider Medical Center and several medical professional office buildings. Therapy Works can also be found in the British Virgin Islands in the heart of Road Town, Tortola and in the TownCentre of Virgin Gorda’s Yacht Harbour. All of our locations are central and convenient for patient access. Our skilled, licensed clinicians have treated over 3000 patients in the USVI and BVI and with a growing demand for high quality physical therapy services throughout the region; Therapy Works looks forward to helping many more people achieve their rehabilitative goals. 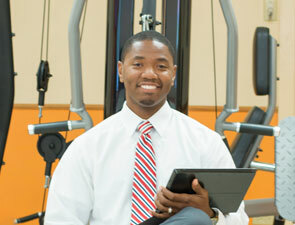 Therapy Works provides Outpatient Physical Therapy services to anyone seeking improved physical wellness and function. Our services include exercises, manual therapies, modalities, and other functional rehabilitation activity. Rehabilitative programs or Plans of Care vary in length from one visit and several visits a week over multiple weeks. The length of your plan of care depends on level of disability and your overall commitment to achieve your goals. In addition to conventional physical therapy services, Therapy Works specializes in the treatment of the spine and general orthopedics; sport-specific bio-mechanical analyses; and ergonomics assessments. From a young age, Jerry has been involved a variety of sports. During his senior year at Ivanna Eudora Kean High School, Jerry did an internship at Schneider Hospital and realized his passion for physical therapy and its benefits. After high school graduation he went on to obtain his BS in Athletic Training from Barry University and his Doctorate of Physical Therapy from the University of St. Augustine for Health Sciences. Jerry returned home in 2005 to begin building his own physical therapy practice. In 2007, he opened the doors of Therapy Works at the University of the Virgin Islands on St. Thomas. Today, 8 years later, Jerry oversees the operations in his St. Thomas clinic, now located in Barbel Plaza, as well as a clinic in Road Town, Tortola. In addition to private practice, Dr. Smith serves as the director of sports medicine for the USVI Olympic Committee and the medical director of both the USVI Boxing Federation and Track and Field Federation. Jerry is as proud Virgin Islander who loves the ocean. He enjoys boating, fishing and spending time with his family and his dog, Milo.